You might have followed many of our t shirt DIYs shared on our site.We have one more cute t shirt DIY for our you. 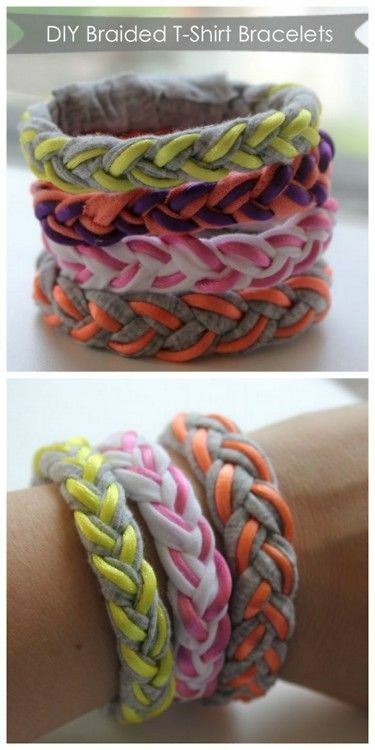 Stephanie Gerber from www.hellonatural.co/ has shared a lovable bracelet DIY made from t shirts. The best part of this project is the usability of the bracelet which can be washed and dried to retain its novelty. This project can encourage your kids to make some for their buddies,as small gifts. They can also learn the beauty of upcycling. These chunky bracelets can be embellished as you wish. Learn this sweet DIY HERE.